Proper enterprise security often starts with visibility. CloudPassage offers automated cloud security visibility in a variety of areas. This includes infrastructure, servers, containers, and more. The company today announced the general availability of their new Halo Cloud Secure solution for AWS. As cloud infrastructures become more complex, teams struggle to maintain effective visibility. This is further enhanced by growing attack surfaces and common cloud service misconfigurations. 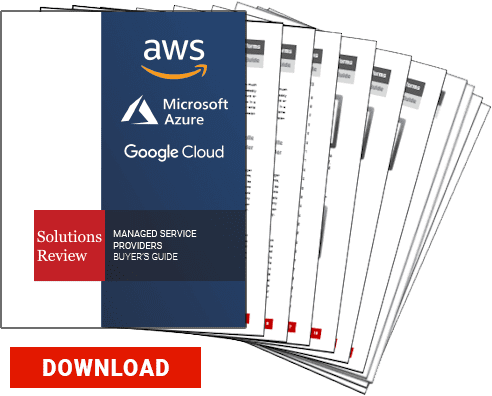 The 2018 Cloud Security Report found that 62 percent of cybersecurity professionals believe IaaS misconfigurations are the biggest threat to cloud environments. The report also found that 43% of cybersecurity professionals see lack of infrastructure visibility as their largest operational challenge. “As enterprises place more services in public cloud, it is becoming increasingly complex and time-consuming to answer the question, ‘Are these services configured securely?’” said Neil MacDonald, VP at Gartner Research. The original Halo platform protects cloud workloads and containers. This was no longer enough though, so the company began working on Halo Cloud Secure. Halo Cloud Secure is an automated public cloud infrastructure solution. It provides visibility, protection, and compliance monitoring for compute, storage, database, networking, and identity services. Users can view what services are being used and by whom. This upgrade delivers deep coverage for AWS through its library of policy check. It monitors servers, containers, and IaaS services. Its unified view of security and compliance provides visibility of all assets. Regardless of environment complexity, Halo Cloud Secure can be customized to fit any customer’s needs. Halo Cloud Secure reduces attack surfaces with automatic and continuous threat identification. Users can find critical vulnerabilities, misconfigurations, and changes in the public cloud environments with ease. It also provides actionable information to the people that need to be notified. The solution has been in beta for the past few months. In that time, it already protects over one million AWS assets.